Throughout history, batch files, scripts or executables has been used to perform custom operations on servers. The languages vary from DOS, vbscript/cscript, Java, .NET or c++ executables. Any program or application that you are launching today can be executed within VisualCron with added value as you are able to capture and control exit codes and output. This launches any script with an optional RUN AS Credential. 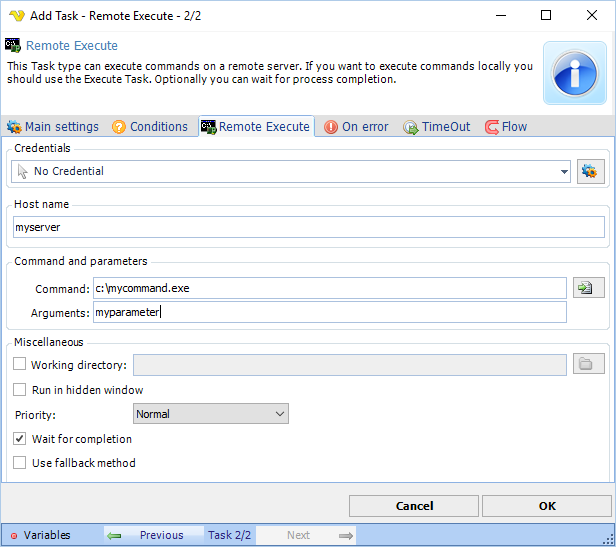 This Task returns the exit code, standard output and standard error. You are also able to pass arguments into the executable. 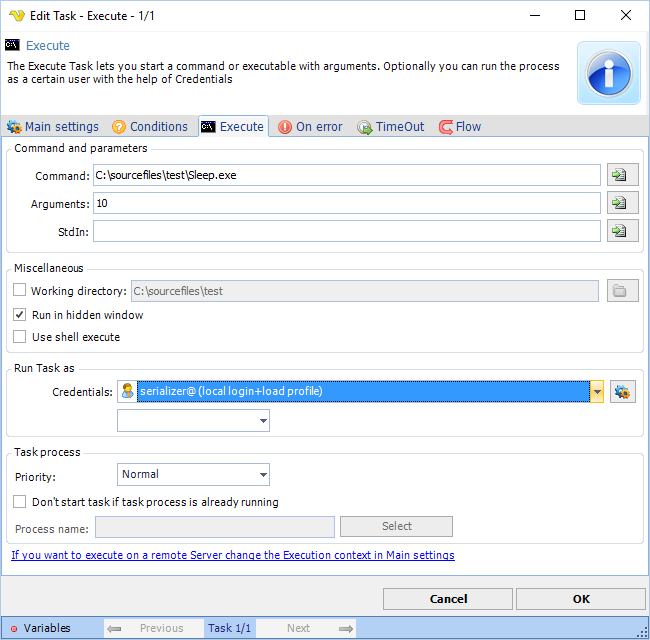 This Task launches the process, similar to Execute Task, on a remote system in the network. 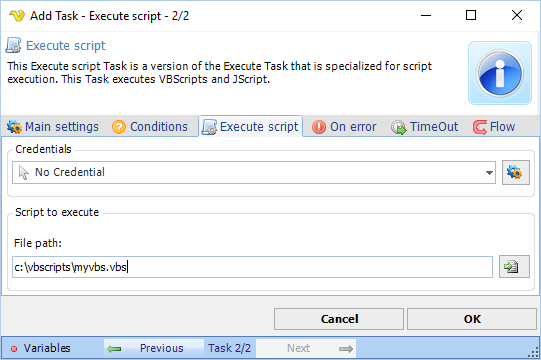 This Task is optimized for vbscript and jscript execution through cscript.exe. This way of executing enables you more control over output and result for these kind of scripts.